Could Intelligent “Angels” have created Our Universe? A central teaching of Gnosticism is that Satan created the world we inhabit. In this day and age, this sounds like an absurd assertion, yet scientists have recently started to take seriously the notion that super-intelligent angelic beings may be our creators. Is science catching up with the truths that Gnostics preached millennia ago? A few years ago, in an article entitled “Children of an alien God”, science writer Marcus Chown presented a picture that chimes with the Gnostic vision of Biblical creation. Our Universe may have been created by superior beings in another universe, according to a physicist in the US. If he is correct, it may finally explain what Albert Einstein called the most incomprehensible thing about the universe: the fact that it is comprehensible to human beings. This is not to say that Harrison believes in the necessity of a Creator. Instead, he proposes that intelligent life itself creates new “offspring” universes where conditions are just right for life. In each offspring universe, life then evolves to a high level of intelligence and in turn creates more offspring universes. If you think this sounds like pure science fiction, you would be wrong. “We already have a mathematical blueprint for how to make new universes,” says Harrison. The blueprint is the creation of our own universe. According to grand unified theories, which attempt to show that the fundamental forces of nature are merely facets of a single “superforce”, the universe was created when a super-dense “seed” of matter triggered a runaway expansion of space. During this split-second phase of “inflation”, the matter to make countless stars and galaxies was conjured out of the empty vacuum itself. The universe, as proponents of inflation are fond of saying, was “the ultimate free lunch”. Harrison says it would only be necessary to recreate the precise conditions that triggered inflation in our own universe in order to spawn a new universe. Alan Guth of the Massachusetts Institute of Technology has suggested a way to do it using a 10kg mini black hole. Its super-dense interior would be the seed that would immediately inflate, not in our universe, but in a space-time connected to our own by the “umbilical cord” of the black hole. The cord would snap when the black hole “evaporated” and a new baby universe would be born. The key feature of any offspring universe is that it inherits fundamental constants similar to those of its parent. This immediately explains why our universe is fine-tuned for life. Until now, argues Harrison, only two explanations have been advanced for why the universe is set up for life. There is the “anthropic principle”, which maintains that we exist because the universe is that way; if it were different we would not be around to comment on it. “What is so unappealing about the anthropic principle is that it requires there to be countless lifeless universes,” says Harrison. “I consider that waste on a truly cosmic scale.” The alternative explanation is that our universe was designed by a Creator, a point of view accepted by many people – including scientists. “Unfortunately,” this explanation terminates scientific enquiry,” says Harrison. Harrison’s theory of the “natural selection of universes” may offer a third view. “The creation of the universe drops out of the religious sphere and becomes a subject amenable to scientific investigation,” he says. Chown’s article shows that the idea that Satan(el), the second highest angel (after Lucifer), might have created the universe we see around us is far from far-fetched. In the future, it may come to be viewed as orthodox science that we owe our existence to higher intelligences – “angels”. Why not one higher intelligence? – Satan, the Jehovah of the Old Testament, known to his followers as “God”, the Creator. If you had to choose one, which would it be? Don’t make it an academic exercise. Pour your heart and soul into choosing one over the others. It won’t do you any good to simply say, “I believe”. You must know. You must experience Gnosis. The particular universe we inhabit is not random; it is designed. The fundamental constants that permit our existence did not appear out of thin air: they were specifically chosen. Our universe was constructed by a super-intelligence precisely with us in mind. The fact that the universe is perfectly suited to the evolution of humanity is in no way accidental.Gnosticism says that Satanel is the creator, the craftsman, the demiourgos. He is the omniarch – the ruler of all – and the cosmocrator – the one possessing world power. Atheists might reject such a characterisation, but none can deny that there is persuasive evidence that the universe we see around us is too well-tailored for us to be anything other than the product of conscious design. If the fundamental constants of nature were marginally different, we wouldn’t be here. Unlike evolutionary theory, where it is true that apparent design can arise from a long process of natural selection, fundamental constants are, by definition, not amenable to evolution and change. There are two main possibilities: either there’s an infinite number of universes where all conceivable values of fundamental constants can be found (in which case we inhabit a random universe where chance supplied the fundamental constants that underpin our existence), or there’s one universe where the fundamental constants have been specially chosen (in which case we inhabit a unique, designed universe created by a super-intelligence that knew how to assemble the correct set of fundamental constants). Which alternative do you prefer? The universe where everything is just right for our existence has been labelled the “Goldilocks” universe. Is it just right by chance or design? Your answer will shape your approach to life. Can we also put another, even more important truth of Gnosticism, on a firm scientific footing that would give atheists pause for thought? Illumination does not teach that there are two separate physical universes – one containing the True God and another created by Satan. Rather, Satan’s universe physically exists within the greater universe. In other words, the “Big Bang” represents a temporal event within a pre-existing, limitless universe. The universe of the Big Bang has a beginning and an end, but the universe enfolding it does not. The Big Bang universe is expanding, but it won’t go on expanding forever. It is not expanding (or stretching) into nothing as some scientists claim. In fact, the idea of pure nothingness is incoherent since every scientist accepts the concept of the quantum vacuum: a sea of virtual particles, a sea of Becoming where Being and Nothingness are inextricably linked. According to exponents of relational time and space, if all objects were somehow removed from the universe there would be no time and space, but it is now an accepted truth that the quantum vacuum would still be there. In other words, the quantum vacuum takes the place of what Newton referred to as absolute space. Although time might not be particularly meaningful in the quantum vacuum, it is still possible to talk of a temporal succession of events, so although there is no absolute time (in a Newtonian sense), there is still time of some description. Space and time, as manifested through the quantum vacuum, are integral to the universe. If there is an entity that can be regarded as absolute space – the quantum vacuum – then, at the very least, the expanding universe must be expanding into it. In fact, the Big Bang universe is expanding into a pre-existing universe – that of the True God. The Big Bang universe is a finite universe within an eternal, infinite universe. That point must be emphasised. Although our universe is vast beyond the imagining, it is of no size at all in comparison with infinity. If our universe ends, that does not imply the end of the greater universe – the macrocosmos. But how can a physical sub-universe exist within a physical super-universe without catastrophic collisions taking place all of the time? The answer lies in the definition of “matter”. Illumination teaches that “matter” is what exists in a physical universe (a universe with dimensions) as opposed to a mental universe without dimensions. But it goes on to draw a sharp distinction between two different types of matter. The matter that Illumination condemns as the creation of Satan is matter that possesses mass. But there is also other matter that has no mass but still exists within the dimensional universe. Light, consisting of massless photons, is matter of this type. Light, massless matter, is always contrasted in Gnostic thought with mass-matter. It turns out that modern quantum physics provides a precise technical vocabulary for what Illumination has always taught. All elementary particles can be divided into two categories: matter particles (known as fermions) and force carrying particles (called bosons). Fermions can be further subdivided into quarks and leptons. As for bosons, there are six types: photons, W and Z bosons, gluons, gravitons and Higgs bosons (the existence of the latter two has not yet been experimentally verified). Photons, gluons and gravitons have zero mass. Illumination teaches that the super-universe is the province of matter without mass. In the language of ancient times, it is referred to simply as the “kingdom of light”. As for Satan’s sub-universe, the “kingdom of matter”, it consists of quarks, leptons, bosons and nothing else (apart from the fluctuations of the quantum vacuum that pervades all of existence). The key to the division between the kingdom of light and the kingdom of matter is the Higgs boson, sometimes referred to as the “God Particle”. (In The Armageddon Conspiracy, it is named the “Satan Particle” since it is the centrepiece of Satan’s creation.) Higgs bosons are the particles associated with the Higgs field and it is by “swimming” through the Higgs field that particles acquire their mass. If there were no Higgs bosons and no Higgs field then nothing in the universe would have mass. Critically, photons, being massless, do not interact with the Higgs field or with Higgs bosons. They don’t feel the Higgs field. Illumination has always taught that light and matter are in opposition and now physics has reflected a sharp divide between photons (light) and particles with mass. They can co-exist in the same environment, but whereas fermions interact with the Higgs field, photons do not. Another astonishing finding of physics is that bosons obey “Bose-Einstein” statistics while fermions obey “Fermi-Dirac” statistics. The key point here is that fermions comply with the Pauli exclusion principle: two fermions cannot occupy the same quantum state. Bosons are completely different. No exclusion principle applies to them and they can occupy the same quantum state. It is this feature that underlies laser technology. It also underlies something much more remarkable. In the kingdom of light, everything is made of photons. Bodies can be created from photons obeying Bose-Einstein statistics. “Angels” are made of photons. And they can enter the material universe that we inhabit and return at a later time whence they came. The kingdom of light is not “perishable” in the way that the kingdom of matter is. As we have said, the material universe created by the Big Bang is vast beyond comprehension, and no human will ever escape from it in human form. It is therefore understandable that some people refuse to speculate about what lies beyond. They will never reach the boundary of our universe, so why concern themselves with it? In ancient Gnostic thinking, there is a boundary (“horos”), which prevents entry to the kingdom of light, conceals what happens there, and allows only the elect to pass through to the higher kingdom. Ask yourself this: if it is possible to have a universe that envelops this one, from which access to and from this universe is possible (at the speed of light), and that can contain bodies that obey Bose-Einstein statistics rather than Fermi-Dirac statistics, is this is a legitimate scientific basis for that most elusive of entities that has always haunted the human imagination: the immortal soul? The soul is not an entity from an invisible, unknowable, unreachable other dimension. It’s from the universe of light that surrounds our universe of matter. It is real. It manifests itself as an energy field – an aura – around us. And it can return whence it came. Exactly as Gnosticism has always taught. Most religions assert that heaven and hell exist in a mysterious and unknowable different dimension from that of our existence here on earth. They claim that faith is required to cope with this ineffable enigma. Illumination, on the other hand, teaches that knowledge is the key and faith is less than worthless. The kingdoms of heaven and hell (light and matter) exist in the same physical realm, the finite kingdom of matter within the infinite kingdom of light, separated by the boundary (horos). The boundary can be crossed without invoking spooky, supernatural, metaphysical forces. The process is amenable to study by conventional science.Mass-matter can exist only where the Higgs field is present. It is not present in the kingdom of light: no mass-matter can exist there. Light, on the other hand, can exist in both kingdoms and can travel back and forth. That is the basis of “angels” and “souls”. Do you see? Light can exist in two, entirely different universes. Light is the key to everything. That is why the Iluminati chose that name for their secret society. That is why their religion is called Illumination. Light – illumination – is the secret of life. Light is knowledge. Light is thought. Light is gnosis. Matter, faith and Satan are the darkness that must be dispelled. Turn to the light. The scientific basis of what is taught by Illumination lies in fermions and bosons, Fermi-Dirac statistics and Bose-Einstein statistics, mass, photons and the Higgs field. Although it could be argued that humanity has a vast and impressive knowledge of fermions (matter particles), the science of bosons (photons, gravitons and Higgs bosons in particular) is in its infancy. As mentioned earlier, Higgs bosons and gravitons haven’t even been experimentally verified as of 2009. By 3009 (if humanity has survived and retained an advanced civilisation), human knowledge will be utterly transformed in comparison with its present state. Above all, we will have begun to understand light. Many scientists openly acknowledge that photons are the strangest and most mysterious particles in existence. The kingdom of light – the focus of the ancient Gnostic religion of Illumination – is the key to all of humanity’s hopes and desires. Every day, science gets a tiny bit closer to this kingdom. The word “science” is derived from the Latin “scientia” – knowledge. “Gnosis” is the Greek word for knowledge. Illumination seeks to bring science and gnosis together as the source of complete knowledge, accessible to all. Illumination has already performed a similar task. Alchemy, an endeavour created by the Illuminati, evolved into chemistry – gnosis and science combining. Now biology, psychology and physics must come together under the umbrella of gnosis. Knowledge, not faith, is the key that unlocks the mysteries of existence. Faith is what Satan relies upon. Knowledge is what will set humanity free. Reject faith. Reject Satan. Reject the Old World Order. All religions that place emphasis on faith are Satanic. Faith is the path not to salvation but to perdition. If you want a physical vision of inescapable hell, picture a being of light being sucked into a black hole. Nothing, not even light, can escape from a black hole. Trapped forever. In hell. Do you want that to be your fate? The universe is mysterious but not unknowable. Gaining knowledge is the greatest challenge facing humanity. Those who turn to faith instead are lost. They will never attain true knowledge. It is easy to say, “I believe”. To say, “I know” is the most difficult task of all. If you embark on the path to Illumination, do not for one moment think it will be an easy road. It is designed to present the most insurmountable obstacles. Only the most meritorious will achieve Gnosis. In The Armageddon Conspiracy, Satan manifests himself on earth via the legendary Ark of the Covenant. His great foe Lucifer, Angel of Light, the first Angel, most beloved of the True God, manifests himself via the equally legendary Holy Grail. Perhaps those with eyes to see and ears to hear will now begin to appreciate how such things may be possible. The Armageddon Conspiracy is a dramatisation of an ancient plan by the Illuminati, devised by their grandmaster King Solomon (the wisest man of all), to capture and kill Satan within the holy of holies of Solomon’s Temple, using the Ark of the Covenant. Satan can be defeated. The Old World Order can be defeated. Welcome to the New World Order – a world free of the slave religions of Christianity, Islam and Judaism. No more Mammon. No more Leviathan. No more people prostrate before false gods, no more people on their knees before their masters. The end of slavery is coming. The kingdom of light is at hand. The new dawn. Posted in The Esoteric Agenda of Humanity | Tagged: angels, artificiality, dimensionality, dimensions, divine order, esoterism, holograms, holographs, hypothesis, illusion, matrices, matrix, quantum entanglement, reality, space, synthesis, synthesised, time, unexplained | Comments Off on Could Intelligent “Angels” have created Our Universe? With advent of the Tsunami on the 26th December 2004 I have again brought for you the story of Lemuria. 40000 years ago the last exodus took place from Lemuria or Kumari Nadu. Evolution has now inhabited the island of Ceylon, parts of Southern India which was part of Lemuria. Today, again there has been a catastrophe which is equally as dramatic and the devastation as profound on the coastal areas. When the lands sank beneath the sea forty thousand years ago the tribes migrated. Now in the new age it is good the to see the world rallying around for reconstruction and rehabilitation. What the stories and myths that may be written about this 40,000 years hence, I would love to hear. When I was five years old, my mother, showed me the sky. She seemed to be fascinated with Paledies, Orion and many other constellations. At night the stories and myths she told me about “Sapt Rishi”, the seven sages that reside within these stars. It is said that originally 2.5 million years they resided in Lemuria and all knowledge originated from there. Kanyakumari. This is at southern most tip of India. That ocean fills you with awe. It is distinctively three colored. If you gaze due south, on one side it is emerald green, on the other aqua blue, the center is aqua green. The interplay of colour is almost hypnotic. For hours my mother would gaze out to sea, her expression wistful, sad and with fleeting emotions of joy. I recall that there was something very powerful there. Years later, as an adult I visited Sri Lanka several times. The whole of Sri Lanka seems to have a powerful energy, similar to that at the tip of India. There are two places in the world that has a vortex of energy , Sri Lanka, and the islands of Bermuda. Every cell in our body holds memory of what we were. Time does not seem to matter. It could have been a million years ago or now. What triggers this memory? Perhaps a stone, monument, sea, or just a softly spoken word. Needless to say we seem to have many memories within us of ages long gone. There are other methods of retaining and remembering all knowledge of all that has happened on this planet Earth. The meager knowledge known and passed down by enlightened sages is so rich in the sciences. We have perhaps not tapped even an iota of what that is. I specially dedicate this topic to my mother. It was her myths and stories that I heard as a child that made me search about the Siddhas, and their teachings. My quest in looking for available matter on Lemuria and the Lemurians. It was on the many trips I made to South India, met many a scholar who enlightened me in the writings of the Tamil Sangams. The wealth of knowledge it has is truly awe-inspiring. In fact, the Tamil Sangams are perhaps the oldest manuscripts in recorded history. Myth say that the older versions were washed away in the last deluge…To My Mother…………….. Shana. The Story Behind the Story Behind the Story of how the World Trade Center I and II collapsed on September 11, 2001. Why? Because if you don’t know how the twin towers collapsed, you can’t be sure you are waking up the masses from the right dream. Is such a stupid story that Bush, Cheney and Rumsfeld didn’t really expect you to believe it. In other words, The Powers That Be (TPTB) expected us to believe the 9/11 Truth story: A rogue element of the US government used controlled demolition to bring down the twin towers. Professor Steven “Cold Fusion” Jones lectures ad nauseam about the obvious, that 110 stories of steel and concrete do not collapse into a pile of rubble from a kerosene fire. Jones’ research, allegedly peer reviewed, has not proven the building collapsed from controlled demolition. Jones, sweet and innocent, looks like he belongs in the Bush administration not in the counterculture community. Wood, marginalized and tossed out of the 9/11-Truth Movement happens to look like a hippie. Dr. Griffin, like Jones, lectures frequently at universities and public places explaining in repetitive detail that September 11 was not the result of 19 Arab terrorists and a kerosene fire. However, neither of them will discuss anything that contradicts the controlled demolition theory of the twin towers. The following image of the second impact, taken from a news helicopter, depicts a video composite of a Boeing 767 accidentally appearing from behind a Layer Mask. Nico Haupt and Morgan Reynolds, formerly the chief economist within the Labor Department under the Bush administration argue that no planes were used in the attacks. “There were no planes, there were no hijackers,” Reynolds insists. “I know, I know, I’m out of the mainstream, but that’s the way it is.” Of the two Boeing 767’s, which vanished into the Twin Towers, Reynolds asks: How could two large wide-bodied aluminum jetliners penetrate massive steel towers and disappear with no deceleration visible, no plane wreckage visible in gashes and none knocked to the ground below the impact zone? Discussion of “no plane” theories can get you banned from conspiracy theory websites and threatened with violence from members of the 9/11 community if you “no plane” too loudly. The idea that there were “no planes”, keeps just about everyone confused about “what really happened” on 9/11. And when I say everyone is confused, I mean EVERYONE is intentionally kept in confusion by the Alex and Steven Joneses, the Davids Griffin and Icke and the 911 Truth Movement that promotes the controlled demolition “theory” of the collapse of the twin towers. The faithful followers are not concerned that Pastor Alex is now being given significant exposure and airtime by the mainstream media – specifically by Disinformation-Central Fox News. The media attention he is getting is quite bewildering until one digs deeper and understands Alex Jones is part of a Cointelpro operation. Why does Jones appear to be closely aligned with that which he seeks to subvert and destroy? The fact that Jones exposes government schemes – and extraordinarily loudly at that – becomes evidence that he may very well be Cointelpro. 911 Truthers acknowledge there are problems with the official 911 Truth story. It’s an obvious computer generated-image of a 757 hitting the North Tower because you can’t see a break in the building wall between the port engine and fuselage. Think about how the jet engines, wings, fuselage and the tail section of an aluminum airplane just disappear through steel and reinforced concrete……and then appear to come through the other side. But Minister Jones and his elders Physicist Steven Jones, author David Ray Griffin, architect Richard Gage in charge of 911 Truth, all with New World order connections , will not allow anyone to question a controlled demolition theory. Why would the 911 Truth Movement promote a theory they know is untrue? What if the 9/11 Truth is nothing more than a pseudo-movement promoting a government “alternative official” story? Who are the likely agents of disinformation? Woods and Reynolds want to hijack the movement so the naïve public will be confused about the planes and will believe the government’s lie about nonexistent “terrorists.” Huh? OR The Church of 9/11 Truth and the Joneses keep anyone from attempting to find out why Dr. Judy Wood calls the twin towers collapse, “The New Hiroshima” , and why at the precise moment of the alleged first plane “impact” did the Earth’s magnetic field dip. My money is on Disinformation agent Alex Jones. Disinformation agents of the New Worldly Order (David Icke, Alex Jones, Zeitgeist) is worth 9 minutes of your time. “What they didn’t expect is that a few Americans would dig…” I can hardly stop laughing! Q) What is thermite anyway? Answer: Aluminum powder and Iron Oxide (rust). Fact: The exterior of WTC towers contains aluminum and there were some rusty beams inside the buildings. Therefore we can dismiss any smoking gun theory of super-thermite because you would expect to find Aluminum powder and Iron Oxide in the remains of the World Trade Centre. Q) What does thermite do to metal? Answer: It melts through it. Q) What happened to the towers? Answer: They turned largely to dust. Thermite cannot have been responsible for turning towers to dust. Let’s see this nanothermite in action please! The USS Carl Vinson was in the Persian Gulf with orders to invade Iraq, logic would dictate the invasion would go forward when the buildings collapsed and not be called off. Many official government stories are so ridiculous that a select group of people some call the puppet masters don’t expect you to believe them. Disinformation is misleading information that is true, deliberately announced publicly or leaked by a government or an intelligence agency to sow confusion and undermine credibility. Misinformation is false or inaccurate information, which is deliberately intended to deceive, 9/11, What’s Wrong With This Picture? http://dprogram.net/2009/03/26/911-whats-wrong-with-this-picture, Robert Singer. I am a Patriot, the US is a great country they wouldn’t kill 3,000 American citizens to pass the Patriot Act, build up the military and invade Afghanistan and Irak (Kill3000toPassBuild&Invade). I like my life I’m having a good time don’t bother me with the Kill3000toPassBuild&Invade nonsense. I can’t do anything about it anyway, so don’t bother me with the Kill3000toPassBuild&Invade story. Demolish Building 7 that wasn’t even hit by a plane, home of the SEC investigation files and Rudy Giuliani’s command center. 34 civilian accountants, bookkeepers and budget analysts working for the Resource Services department. And, in another one of those coincidences that don’t happen very often, the accountants and bookkeepers were investigating, according to Donald Rumsfeld, 2.3 trillion Dollars that “just vanished”, September 10, 2001, Donald Rumsfeld spoke to Congress and confessed the Pentagon is missing 2.3 trillion Dollars. Just vanished. Shoot down flight 77 over Pennsylvania and kill the passengers from flight 93 and a second mysterious airplane that made an emergency landing at Cleveland Hopkins Airport. Flights 11, 12 (9+3), 13 (1+7+5), 14 (7+7). UAL Flight 93 Landed Safely At Cleveland Hopkins Airport Plane Lands In Cleveland – Bomb Feared Aboard 8-7-4 Reported by 9 News Staff Web produced by: Liz Foreman 9/11/01, At 10 A.M. on 9/11 Cleveland airport was evacuated due to rumors of a bomb scare. People around the airport were told to go home. COINTELPRO is the FBI acronym for a series of covert action programs directed against domestic groups. In these programs, the Bureau went beyond the collection of intelligence to secret action defined to “disrupt” and “neutralize” target groups and individuals. The techniques were adopted wholesale from wartime counterintelligence, and ranged from the trivial (mailing reprints of Reader’s Digest articles to college administrators) to the degrading (sending anonymous poison-pen letters intended to break up marriages) and the dangerous (encouraging gang warfare and falsely labeling members of a violent group as police informers). “Chopped” is a naval term used when a ship changes course. I can no longer find this post on the Web. Personal Web sites and blogs come and go, and it’s common knowledge that technology exists to scrub content off the web. Robert Singer is an Entrepreneur and the author of a forthcoming book on the Federal Reserve. His articles cover politics and the financial and environmental implications of our consumer society. The articles have been main headlined and can be found on numerous popular websites: Marketoracle, Silverseek, Pakistan Daily, Silver Bear Café, Goldseek, Dissident Voice, The Peoples Voice, LAprogressive, Canadafreepress, disinformation.com, Opednews, and many of the WordPress sites. Richard Daughty, The Mogambo Guru, proclaimed him a Junior Mogambo Ranger (JMR). NEW YORK (AP/Huffington Post) – Former President Bill Clinton, who had quadruple bypass surgery more than five years ago, was hospitalized Thursday to have a clogged heart artery opened after suffering discomfort in his chest. Two stents resembling tiny mesh scaffolds were placed inside the artery as part of a medical procedure that is common for people with severe heart disease. The 63-year-old Clinton was “in good spirits and will continue to focus on the work of his foundation and Haiti’s relief and long-term recovery efforts,” said an adviser, Douglas Band. President Obama spoke to former President Clinton, and wished him a speedy recovery Thursday evening, according to Chicago Sun-Times reporter Lynn Sweet. Terry McAuliffe, former Democratic National Committee chairman and a close friend of the Clintons, said Clinton participated in a conference call on earthquake relief as he was being wheeled into an operating room. He expected Clinton to be released from the hospital Friday. Secretary of State Hillary Rodham Clinton traveled from Washington to New York to be with her husband, who underwent the procedure at New York Presbyterian Hospital, the same place where his bypass surgery was done in September 2004. At that time, four of his arteries were blocked, some almost completely, and he was in danger of an imminent heart attack. Cardiologist Allan Schwartz said the former president had been feeling discomfort in his chest for several days, and tests showed that one of the bypasses from the surgery was completely blocked. Instead of trying to open the blocked bypass, doctors reopened one of his original blocked arteries and inserted the two stents. The procedure took about an hour, and Clinton was able to get up two hours later, Schwartz said. There was no sign the former president had suffered a heart attack, and the new blockage was not a result of his diet, Schwartz said. The doctor said Clinton could return to work Monday. “The procedure went very smoothly,” Schwartz said, decribing Clinton’s prognosis as excellent. In an angioplasty, the procedure Clinton had on Thursday, doctors thread a tube through a blood vessel in the groin to a blocked artery and inflate a balloon to flatten the clog. Often, one or more stents are used to prop the artery open. The angioplasty is usually done with the patient awake but sedated. It’s one of the most common medical procedures done worldwide. More than a million angioplasties are done in the United States each year, most involving stents. “It’s not unexpected” for Clinton to need another procedure years after his bypass, said Dr. Clyde Yancy, cardiologist at Baylor University Medical Center in Dallas and president of the American Heart Association. The sections of blood vessels used to create detours around the original blockages tend to develop clogs five to 10 years after a bypass, Yancy explained. New blockages also can develop in new areas. “This kind of disease is progressive. It’s not a one-time event, so it really points out the need for constant surveillance” and treating risk factors such as high cholesterol and high blood pressure, he said. The need for another artery-opening procedure will not affect Clinton’s long-term prognosis, said Dr. William O’Neill, a cardiologist and executive dean of clinical affairs at the University of Miami’s Miller School of Medicine. O’Neill said he had done 10 or 15 such procedures in a single patient over a period of time, and they still live long lives. “Thousands of these done every week. He will be fine. He will be active again very, very soon,” Frist said. Nearly 1 in 5 patients who have angioplasties have previously had a bypass operation, according to a patient registry maintained by the American College of Cardiology. Doctors will have to watch Clinton closely for signs of excessive bleeding from the spot in the leg where doctors inserted a catheter, said Dr. Spencer King, a cardiologist at St. Joseph’s Heart and Vascular Institute in Atlanta and past president of the cardiology college. Complications are rare. The death rate from non-emergency angioplasty is well under 1 percent, King said. After seeing his cardiologist, Clinton’s Secret Service motorcade took him to the hospital, where he walked in on his own. A White House official said the former president’s condition did not come up during a meeting Thursday between President Barack Obama and the secretary of state. The afternoon meeting took place a few hours before word of Clinton’s heart procedure became public. The official spoke on condition of anonymity because details of the meeting were considered private. Aides to Mrs. Clinton said she still planned to go ahead with a previously scheduled trip to the Persian Gulf. The trip was to begin Friday afternoon, but now she is planning to leave Saturday so that she does not have to rush back to Washington. Clinton’s daughter, Chelsea, was also with him at the hospital. The former president has been working in recent weeks to help relief efforts in Haiti. Since leaving office, he has maintained a busy schedule working on humanitarian projects through his foundation. Clinton’s legend as an unhealthy eater was sealed in 1992, when the newly minted presidential candidate took reporters on jogs to McDonald’s. He liked hamburgers, steaks, french fries — lots of them — and was a voracious eater who could gobble an apple (core and all) in two bites and ask for more. Two of his favorite Arkansas restaurants were known for their large portions — a hamburger the size of a hubcap and steaks as thick as fists. He was famously spoofed on “Saturday Night Live” as a gluttonous McDonald’s customer. Friends and family say Clinton changed his eating habits for the better after his bypass surgery. 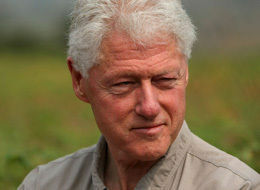 Other than his heart ailments, Clinton has suffered only typical problems that come with aging. In 1996, he had a precancerous lesion removed from his nose, and a year before a benign cyst was taken off his chest. Shortly after leaving office, he had a cancerous growth removed from his back. In 1997, he was fitted with hearing aids. AP Medical Writer Marilynn Marchione reported from Milwaukee. Beth Fouhy in New York, and Julie Pace, Matthew Lee and Darlene Superville in Washington also contributed to this report. It’s truly been a tale of two unemployment crises. The study from Andrew Sum, Ishwar Khatiwada and Sheila Palma at Northeastern University’s Center for Labor Market Studies suggests that the unemployment problem is largely a problem for low-wage workers (hat tip to the Curious Capitalist). At the end of calendar year 2009, as the national economy was recovering from the recession of 2007-2009, workers in different segments of the income distribution clearly found themselves in radically different labor market conditions. A true labor market depression faced those in the bottom two deciles of the income distribution, a deep labor market recession prevailed among those in the middle of the distribution, and close to a full employment environment prevailed at the top. There was no labor market recession for America’s affluent. The highest group, with household incomes of $150,000 or more, had an unemployment rate during that quarter of 3.2 percent. The next highest, with incomes of $100,000 to 149,999, had an unemployment rate of 4 percent. Contrast those figures with the unemployment rate of the lowest group, which had annual household incomes of $12,499 or less. The unemployment rate of that group during the fourth quarter of last year was a staggering 30.8 percent. That’s more than five points higher than the overall jobless rate at the height of the Depression. Each day brings more revelations of efforts of the NY Fed and Goldman Sachs to hide the details of the criminal conspiracy of the AIG bailout. . . . This is a real crisis on the scale of Watergate. Corruption at its finest. But unlike the perpetrators of the Watergate scandal, who wound up looking at jail time, Geithner evidently has a golden parachute waiting at Goldman Sachs, not coincidentally the largest recipient of the AIG bailout. At least that is the rumor sparked by an article by Caroline Baum on Bloomberg News, titled “Goldman Parachute Awaits Geithner to Ease Fall.” Hank Paulson, Geithner’s predecessor, was CEO of Goldman Sachs before coming to the Treasury. Geithner, who has come up through the ranks of government, could be walking through the revolving door in the other direction. [T]he New York Fed is a quasi-governmental institution that isn’t subject to citizen intrusions such as freedom of information requests, unlike the Federal Reserve. This impenetrability comes in handy since the bank is the preferred vehicle for many of the Fed’s bailout programs. 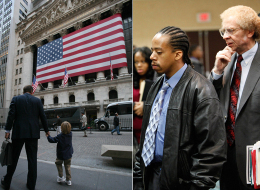 It’s as though the New York Fed was a black-ops outfit for the nation’s central bank. [L]ast November . . . New York Federal Reserve Governor Tim Geithner decided to deliver 100 cents on the dollar, in secret no less, to pay off the counter parties to the world’s largest (and still un-investigated) insurance fraud — AIG. This full payoff with taxpayer dollars was carried out by Geithner after AIG’s bank customers, such as Goldman Sachs, Deutsche Bank and Societe Generale, had already previously agreed to taking as little as 40 cents on the dollar. Even after the GM autoworkers, bondholders and vendors all received a government-enforced haircut on their contracts, he still had the audacity to claim the “sanctity of contracts” in the dealings with these companies like AIG. Geithner testified that the Fed’s hands were tied and that the bank could not “selectively default on contractual obligations without courting collapse.” But if it was all on the up and up, why all the secrecy? The contention that the Fed had no choice is also belied by a recent holding in the Lehman Brothers bankruptcy, in which New York Bankruptcy Judge James Peck set aside the same type of investment contracts that Secretaries Paulson and Geithner repeatedly swore under oath had to be paid in full in the case of AIG. The judge declared that clauses in those contracts subordinating other claims to the holders’ claims were null and void in bankruptcy. If you tell a lie big enough and keep repeating it, said Joseph Goebbels, people will eventually come to believe it. The bailout of Wall Street initiated in September 2008 was premised on the dire prediction that if major counterparties in the massive edifice of derivative contracts were allowed to fall, the whole interlocking house of cards would collapse and take the economy with it. A hijacked Congress dutifully protected the derivatives game with taxpayer money while the real economy proceeded to collapse, the financial sector choosing to put their money into this protected form of speculative betting rather than into the more mundane and risky business of making loans to struggling businesses and homeowners. In the end, $170 billion of federal funds went to AIG and the banks feeding at its trough. Meanwhile, a survey of state finances by the Center on Budget and Policy Priorities think tank found that state governments face a collective $168 billion budget shortfall for fiscal 2010. If the money used to bail out AIG and the banks had been used to bail out the states instead, the states would not be facing insolvency today. There is no law against gambling, but there is a law against fraud. In Watergate, a special prosecutor was appointed to bring criminal charges; but times seem to have changed. Ellen Brown developed her research skills as an attorney practicing civil litigation in Los Angeles. In Web of Debt, her latest book, she turns those skills to an analysis of the Federal Reserve and “the money trust.” She shows how this private cartel has usurped the power to create money from the people themselves, and how we the people can get it back. Her eleven books include Forbidden Medicine, Nature’s Pharmacy (co-authored with Dr. Lynne Walker), and The Key to Ultimate Health (co-authored with Dr. Richard Hansen). Her websites are www.webofdebt.com, www.ellenbrown.com, and www.public-banking.com.